Recently, I was very fortunate to receive three shades of the Bite Beauty Matte Creme Lip Crayons. They were sent to me by Influenster for review purposes! Yes, these were free, but in no way, shape or form does that mean I will bend my opinions. I am an extremely honest person and if I don’t like something, you best believe that you will know about that. I received three shades: Cava, Red Velvet and Glace. 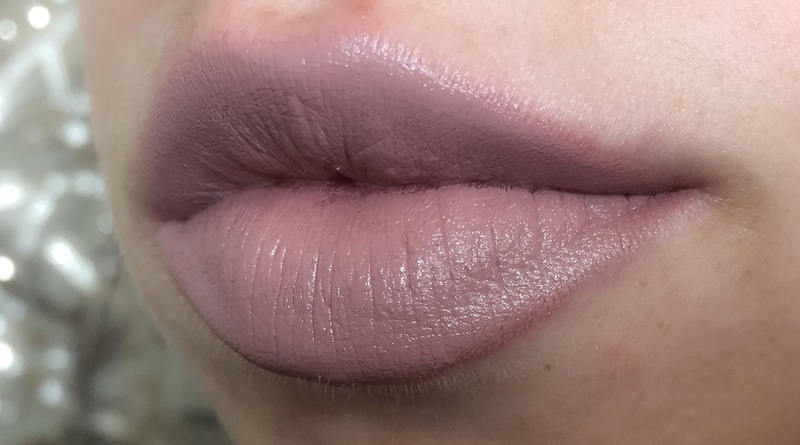 I used to be in love with Mac lipsticks back in the day, but for a while I have been obsessed with liquid lipsticks and that is what I usually reach for, but sometimes it’s nice to get back to basics. These creme lip crayons very creamy and moisturizing.They just glide on and moisturize all day long. Now, the formula will not last you all day, you will have to reapply, but your lips will be smoother than a baby’s bum. I actually really love the formula because of how gentle it is on my lips and of how matte it is. I am a matte girl for life! The lip crayons are made with orange peel wax and antioxidant properties of resveratrol. This is why they are water-resistant and long wearing. I did enjoy the lighter shades more than the dark for a couple of reasons. The lip crayons come in pen shaped applicator. It has a pointed tip which makes it easier to apply without having to use a brush. Now this works better with the lighter shades because you don’t have to be as precise. With the darker shades, I did have to go back in with a makeup wipe and clean up the edges. The darker shade also did not match with my skin tone. 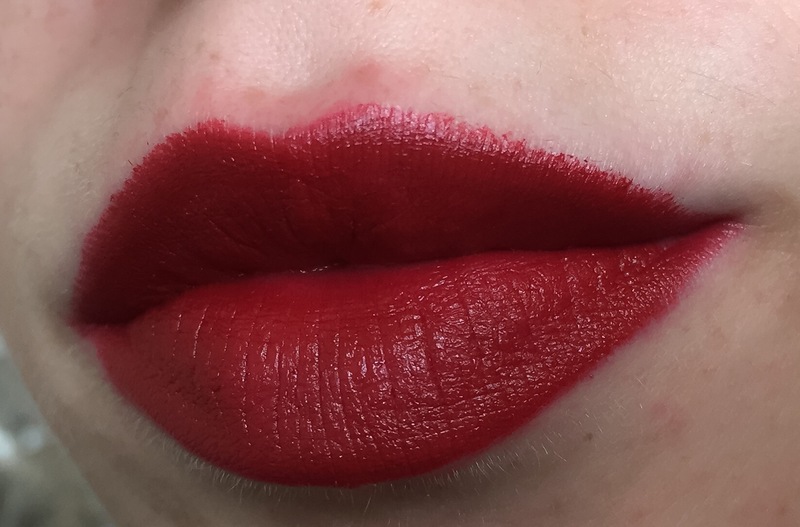 I tend to go for deeper reds, vs more true reds (which this was a more of a true red). The lip crayons lasted about 4 to 5 hours, with minimal eating and drinking. Since these are a creamy formula, they don’t flake off or bleed. When you eat or drink they just swipe away. Here are some swatches of the three shades. Overall, for a lipstick, I would give these an 8 out of a 10. I did really like them and will for sure continue using them! 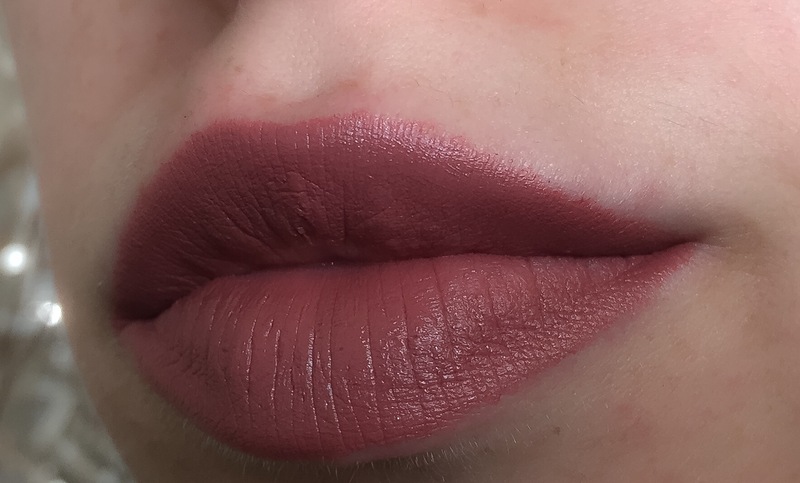 Have you ever used Bite Beauty lipsticks? What do you think?? I would love to see your other posts too. So i am following you.